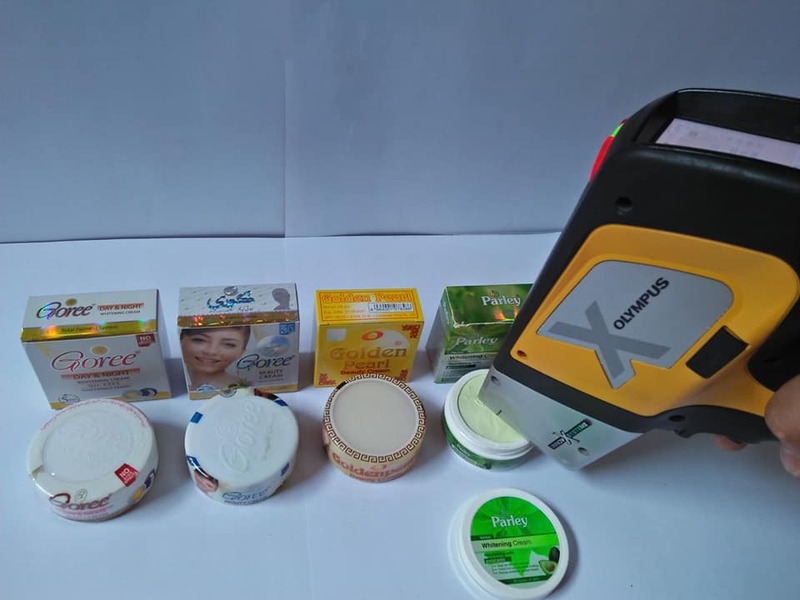 Four banned skin whitening products are being illegally traded in at least two malls in Metro Manila, pro-environment and health group Ecowaste Coalition bared. Ecowaste said the Pakistan-made products, which have been banned for containing dangerous levels of mercury, are openly sold in Baclaran Terminal Plaza Mall and Baclaran Bagong Milenyo Plaza for up to P300 each. Golden Pearl Beauty Cream with 10,000 ppm of mercury. "We are dismayed by the nonstop and remorseless trade of unregistered skin lightening products from Pakistan containing extremely high levels of mercury way above the permissible limit of 1 part per million (ppm)," said Thony Dizon, Chemical Safety Campaigner, EcoWaste Coalition. "Mercury, a highly toxic substance, is not permitted for use as an ingredient in cosmetic products such as skin whitening creams, lotions and soaps as per the ASEAN Cosmetic Directive. To protect human health and the environment, governments through the Minamata Convention on Mercury have targeted a global phase-out of skin whitening cosmetics with mercury above 1 ppm by 2020," he said. Earlier this month, the Food and Drug Administration (FDA) issued an advisory regarding its banning of two products of Parley for exceeding the 1 ppm mercury level limit. It previously released similar advisories against the said Goree and Golden Pearl products. According to the FDA, "Adverse health effects brought about by highly toxic mercury in cosmetic products include kidney damage, skin rashes, skin discoloration and scarring. Chronic use reduces the skin’s normal resistance to against bacterial and fungal infections. Other effects include anxiety, depression or psychosis and peripheral neuropathy." "The transfer of mercury to fetuses of pregnant women may manifest as neuro-developmental deficits later in life," the FDA warned.